The 10th Edition of Indo Security Expo & Forum are set to take center stage for the Indonesia's Security Industry Event when it opens at the Jakarta Convention Center - Indonesia. Widely recognise as the Indonesia's top security and safety event, it is where industry buyers and decision makers gather to network, source for new products, build business partnerships and get update on the latest trends and developments. 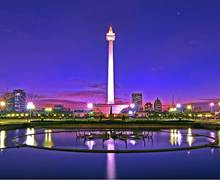 Indo Security 2019 is highly relevant to companies actively involved in all areas of the security and protection industry - access control, CCTV, security parking, theft prevention, data protection, and risk management. These companies will come from both sides of the "buying/selling fence" to become involved in the security industry.